Sutton Court, by Inspired Homes, is an innovative redevelopment of a former office building in Sutton, Surrey. 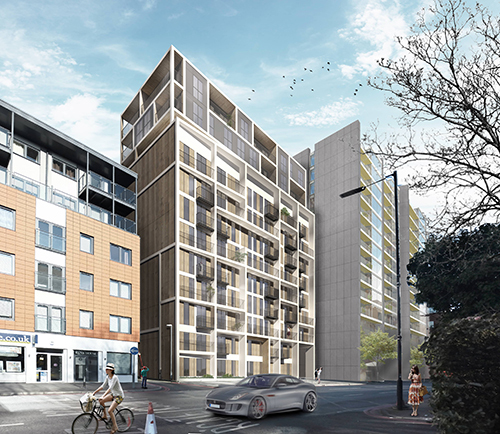 Comprising 82 high-end apartments, every square inch of space has been maximised to deliver private homes in Greater London that are affordable to first time buyers, while enabling them to ‘Live Brilliantly’ with a high- tech, high-spec finish. The redevelopment saw the building stripped back to its shell and core, with the internal layout reconfigured and the appearance of the building left unrecognisable, with a stunning new façade that provides a contemporary architectural style. The apartments are Inspired’s best yet, comprising private balconies, with floor-to-ceiling French doors and uniform open-plan living areas that look and feel more spacious than at previous developments. Located in the heart of the town centre, close to the railway station, Sutton Court offers residents a short 27-minute commute into central London.